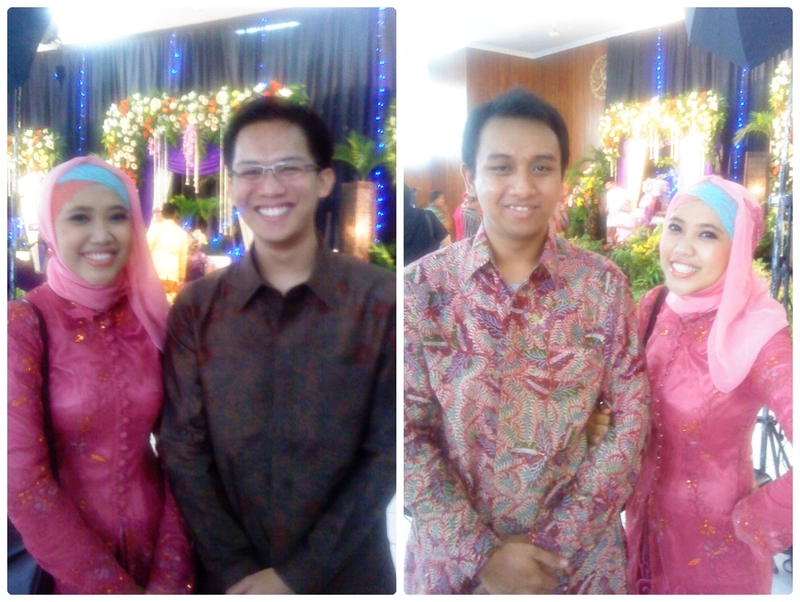 Mbak Fidya's Wedding - Life's Never Boring Beibi! Just recognized that I haven't post my trip last week to Gresik, for attending my office-mate's wedding: Fidya Safitri Aulani & Mohammad Nadjib. Here is the happy bride and groom! left: me & koko PJ, right: Rikza & me. Suddenly missed my high school time with 'em! Anyway, because of this event, I'd like to have experiments in make-up things. Astria asked me to do her eyes make-up. Not bad, I thought. For my own make-up, I used my newest eye-shadow set: Merak Kasmaran by Sari Ayu. I love the turqoise effect on my eyes. Then, when I went home, my kost-mate asked me to do her graduation make-up, next month. Wow. It's a big deal instead. Hmm, I feel challenged!